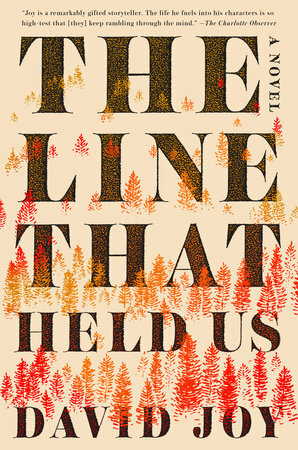 David Joy is the author of the Edgar nominated novel Where All Light Tends to Go (Putnam, 2015), as well as the novels The Weight Of This World (Putnam, 2017) and The Line That Held Us (Putnam, 2018). His memoir, Growing Gills: A Fly Fisherman's Journey (Bright Mountain Books, 2011), was a finalist for the Reed Environmental Writing Award and the Ragan Old North State Award for Creative Nonfiction. His latest stories and essays have appeared in The New York Times Magazine, Garden & Gun, and The Bitter Southerner. He is the recipient of an artist fellowship from the North Carolina Arts Council. His work is represented by Julia Kenny of Dunow, Carlson & Lerner Literary Agency. He lives in Jackson County, North Carolina.